Psychedelic support in the context of festivals and events refers to providing support for those who have used psychedelic and empathogenic drugs. The classic psychedelics include LSD, psilocybin (magic mushrooms) and mescaline. MDMA (ecstasy) is the most well known empathogen. The rise of NPS has massively increased the number of substances that fall within these categories, this has increased the risk of things going wrong. 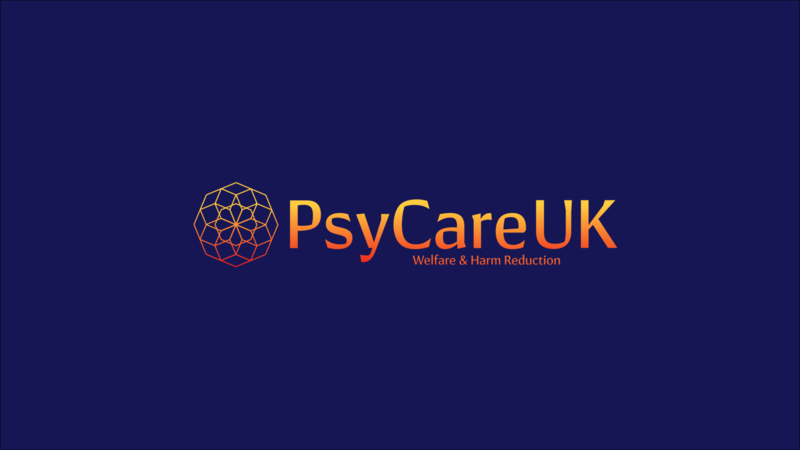 Psychedelic support includes harm reduction activities such as providing information, advice and the testing of substances, however, the focus of this document will be on crisis intervention. Crisis Intervention is emergency psychological care aimed at assisting individuals in a crisis situation to restore equilibrium to their biopsychosocial functioning and to minimize the potential for psychological trauma. Crisis can be defined as one’s perception or experiencing of an event or situation as an intolerable difficulty that exceeds the person’s current resources and coping mechanisms. This kind of support shares the approach of person centred counselling in that it is non-directive and non-confrontational, and relies on the values of empathy and unconditional positive regard. It is also informed by psychotherapy and psychedelic therapy. Research shows that psychedelics and empathogens can be powerful tools for accessing repressed memories and re-experiencing events from the past. This means that those who use these substances at festival and events may unintentionally encounter emotions, memories or experiences which are difficult for them to deal with. Looping – People seem to be stuck in a loop of thought and keep saying and/or doing the same things over and over again. Here it can be useful to be with them and to pay them attention, holding their hand or other physical contact can help to develop a bond (although this must be done sensitively and with discretion). Repeat back to them some of what they are saying and perhaps ask questions about what they say. It can be quite tiring but eventually people will come out of the loop. What was being said or done while looping may or may not be significant. The person may wish to explore what was happening for them, now or at a later date, but this should not be forced upon them. Often they will have no recollection of what they were doing while looping. Breathe – breathing deeply can help to relieve tension and ground people. As with meditation, focusing attention on the breath can be a good way to eliminate unwanted mental noise. Tell the person that they are not physically in danger and that you will keep them safe. Try not to bombard the visitor with questions, if they are unable to answer basic questions about themselves it may add to their distress. However, if appropriate it can help to ground people and bring them back to reality to talk about their everyday life, work, family, etc. Negative/difficult experiences are often caused by people resisting the effects of the drug and trying to remain in control. Try to make the person feel safe and comfortable. Invite the person to trust, let go and be open. Hopefully you are able to provide an environment in which the person is able to surrender to the experience. Psychedelic experiences can be highly significant experiences to one’s life. After the experience it might be appropriate to discuss the importance of taking time to process and integrate the experience. They may want or need support to do this therefore it is useful to offer any additional support you can or to direct them to services who may be able to offer such support. Tripsit.me is an online resource where people can access support and discuss their experiences.